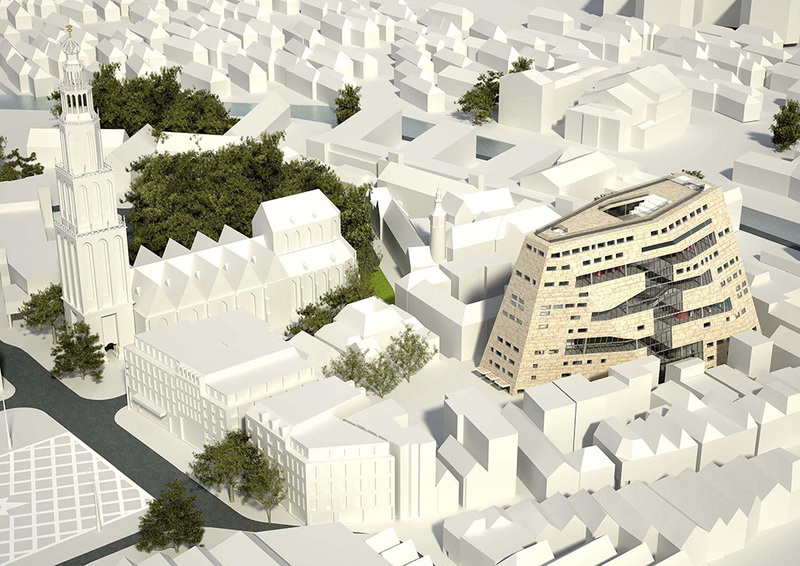 The Groninger Forum will become a new vibrant cultural center in the heart of Groningen, Netherlands. It is a multipurpose building, a place to meet and socialize, a place for learning, leisure and exploration. 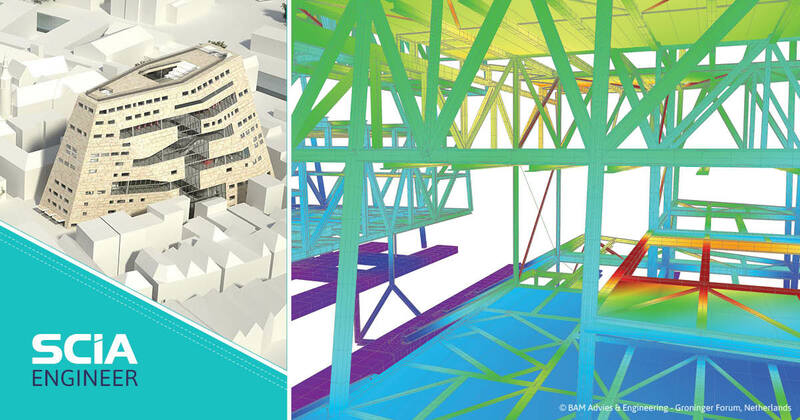 Commissioned by the municipality of Groningen, BAM Advies & Engineering started the construction work of the Groninger Forum in 2012.The new 35,000 m2 iconic structure will be located along the east wall of Grote Markt in Groningen. It is expected to be finished in 2019. 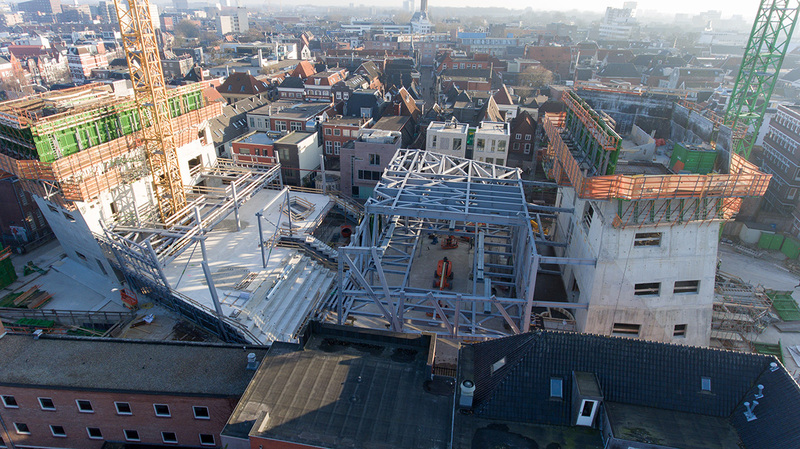 The Groninger Forum, a cultural and information center, has been designed to become a general meeting place for residents and visitors of Groningen city, with 1.6 million expected visitors per year. In addition, the Forum also houses the Forum Images Filmhouse, the Comic Strip Museum, a library and a restaurant on the upper floor. 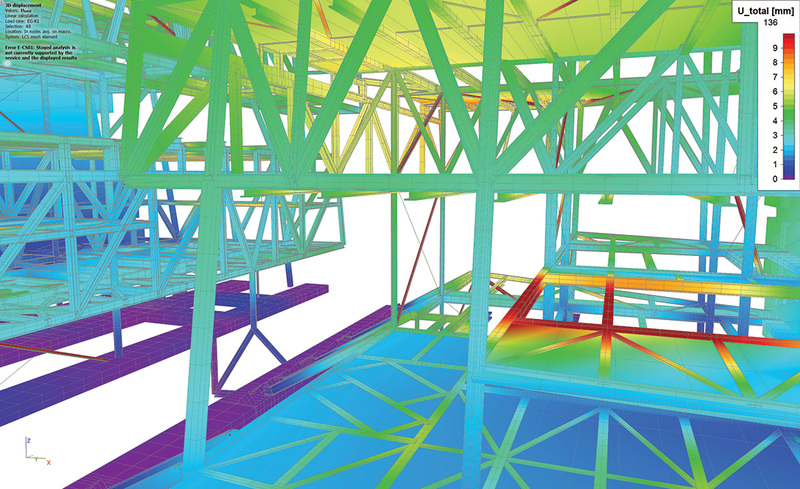 The engineering firm faced several challenges in this project. The contour of the spectacular structure is characterized by various wall surfaces extending obliquely in a forward or backward tilt. Two concrete cores at the ends of the building are the main elements that provide lateral stability. The steel framed spaces, constructed from oblique trusses, are connected to the two cores. At the top levels, a steel bridge connects these cores. As the main contractor, BAM was responsible for safe construction of the building while keeping it within tight construction tolerances. In close cooperation with Consulting firm ABT, BAM analyzed the construction phasing with the construction stages module of SCIA Engineer. 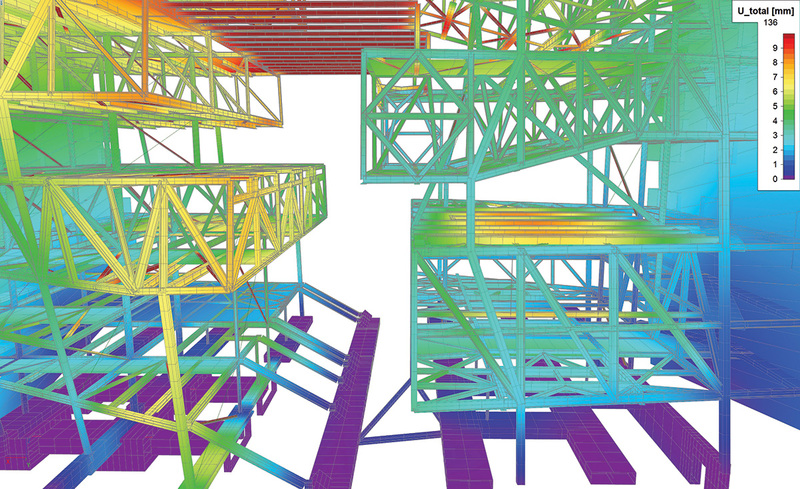 ABT created model for the 2D and 3D analysis of the building in SCIA Engineer (SCIA User Contest 2013). 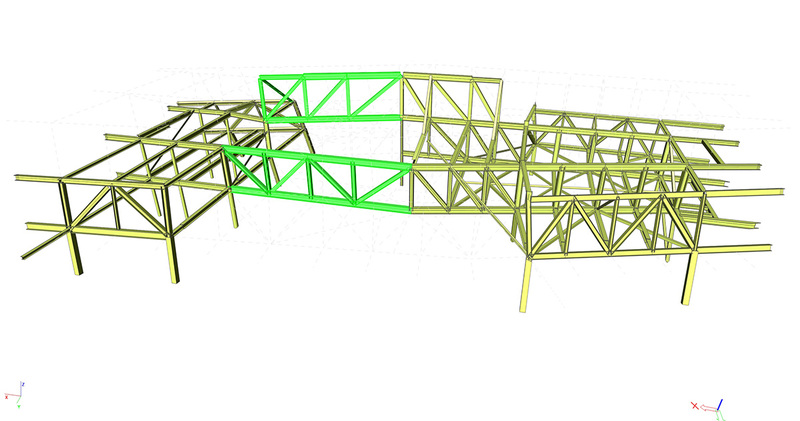 The model helped to develop a safe construction works method to determine forces in the temporary steelwork and bracing. Furthermore, it accurately predicted deflections and pre-camber requirements in different construction stages. 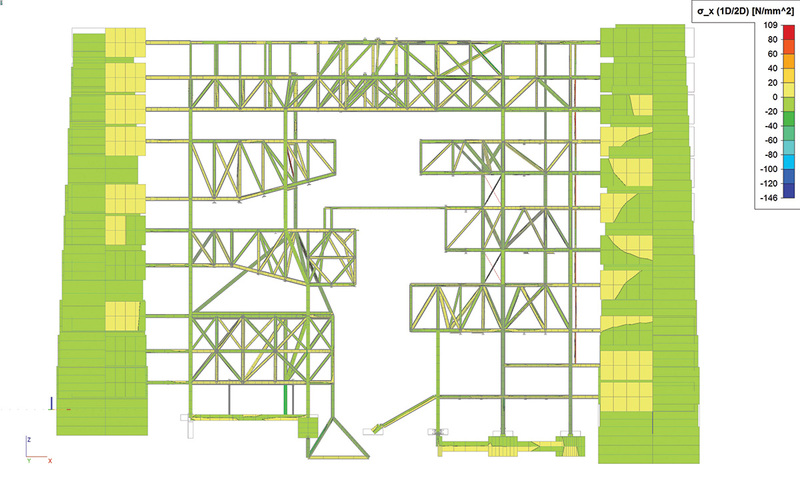 The module also helped to develop a detailed set-out plan used onsite to monitor deflections and tolerances, as construction progressed. 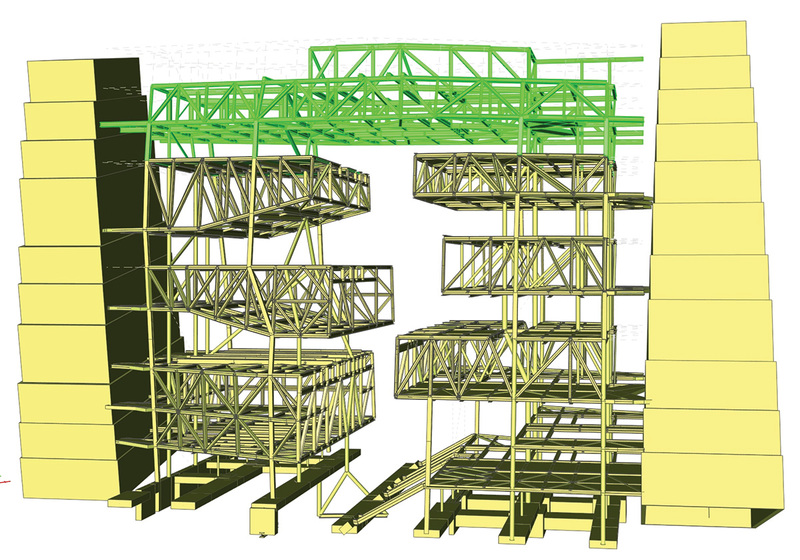 This project is a good example of the use of SCIA Engineer for both the design and construction stages analysis of a complex and challenging structure. The Groninger Forum project was a nominee in the “Buildings” category of the SCIA User Contest 2017.